You’ve Heard of Hiring Ex-Cons? This One’s an Entrepreneur! It takes discipline to run a successful business. And if you have that discipline, you have a pretty good chance of making your idea into reality — no matter what obstacles you’ve had to overcome. Case in point: Coss Marte, founder of ConBody. 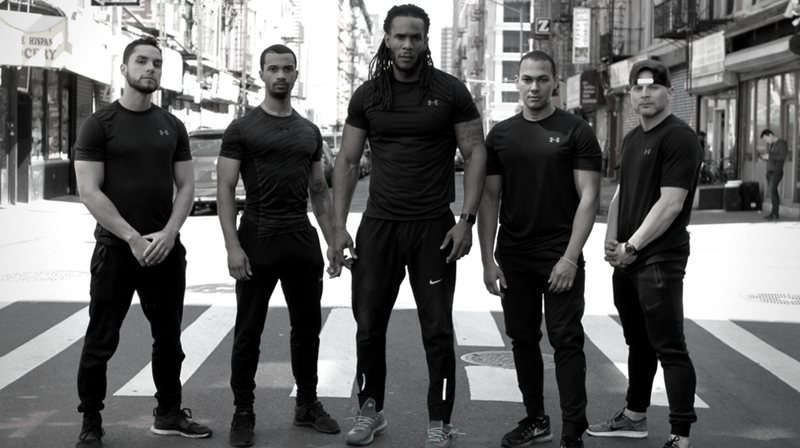 Marte originally got the idea for his business in an unlikely place — a prison cell. The founder had some health issues while serving a seven-year prison sentence. And since he only had a small cell and his body weight to work with, he had to come up with a creative workout plan. He created one that worked for him. And now he also shares it with clients at his fitness studio on Manhattan’s Lower East Side. Marte had significant obstacles to overcome in his journey to entrepreneurship. Even just making it through his sentence was an accomplishment given the health issues that he started out with. But he persevered. He made it through the sentence and then built his business from scratch after finding limited job prospects upon his release. For other entrepreneurs, the lesson is clear. If you have the discipline and a good enough idea, you can overcome just about anything. It won’t always be easy. And it might take a different shape or path than you’d expect. But if you put your skills to good use and refuse to give up, you can accomplish really surprising things. Apple Inc. (NASDAQ:AAPL) this week sent an email to App Store affiliate program members telling them that it is slashing their commission rates from seven percent to 2.5 percent on May 1. According to Brett Terpstra, an App Store affiliate who received the email, the changes only affect affiliate referrals for apps. Other iTunes and iBooks Store content like music, movies, TV shows and books will continue to receive the original seven percent rate. Apparently, affiliates were only given one week of warning on the impending change. 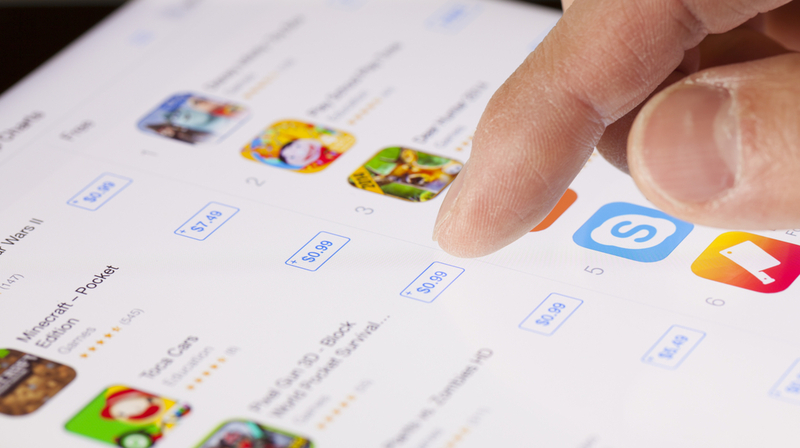 The App Store affiliate program allows websites owners from the Apple community to link to App Store downloads. The link they use has a unique referral ID for each affiliate. When customers click on this link and buy apps or in-app purchases, Apple pays a small cut of the qualified sales to the affiliate. The app developer gets 70 percent of the sale, while the affiliate partner gets incentivized to refer more customers. Now that Apple is drastically cutting this revenue stream, the tech company risks alienating its affiliate partners who are a significant source of income for developers of the apps sold on the App Store. The new commission rate cuts, however, only apply to affiliates and won’t affect app developers. The U.S. Small Business Administration’s Office of Advocacy recently released an encouraging report on veteran-owned businesses. The report, which is based on the latest available data from the U.S. Census Bureau’s 2012 Survey of Small Business Owners (released December 2015 and February 2016), shows about 2.52 million businesses in the U.S. majority-owned by veterans. Almost all of these veteran-owned businesses at the time (99.9 percent) were small businesses. According to the SBA report entitled “Veteran-Owned Businesses and Their Owners (PDF),” small business firms owned by veterans employed 5.03 million people, had an annual payroll of $195 billion and receipts of $1.14 trillion. 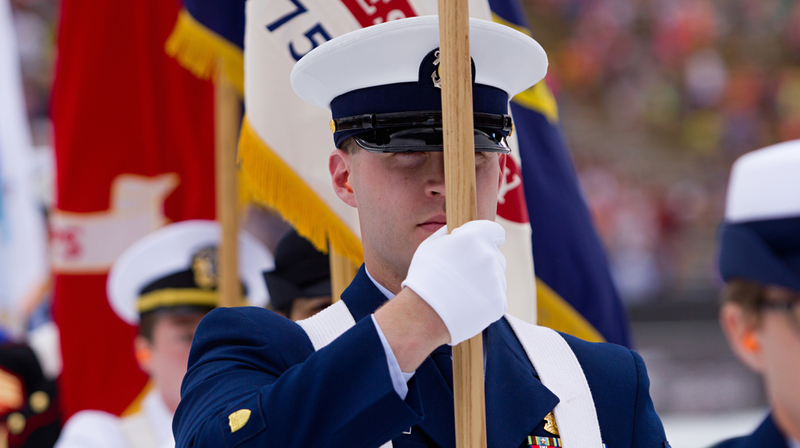 The veteran-owned firms represented 9.1 percent of all U.S. businesses. Nearly 30 percent of all veteran-owned firms were in two industry groups: construction and the professional, scientific and technical services group. The industry with the largest share of veteran-owned firms was finance and insurance (13.2 percent), followed by transportation and warehousing (12.1 percent), and construction (11.4 percent). Five industry groups accounted for 71.5 percent of all veteran-owned firm sales: wholesale trade (22.9 percent), retail trade (19.5 percent), manufacturing (12.3 percent), construction (10.1 percent), and professional, scientific, and technical services (7.0 percent). Also, a bigger percentage of veteran-owned businesses were home-based (57.0 percent) compared with other businesses (52.2 percent) in the rest of the population. And the most common method for veterans to become business owners was to start their own businesses themselves. It’s encouraging to see military veterans take advantage of entrepreneurship opportunities available to them, and to continue to display many of the same qualities and resilience of civilian entrepreneurs. If you are a military veteran who owns a small business or you know some vets, there are many sources of support for veterans, including the SBA’s “Boots to Business” Program. These resources offer varied resources from franchise opportunities to business loans that help combat unemployment among returning veterans, and also demonstrate appreciation to our veterans for their service. ’Over these three months, we managed to set such a pace and create transparency in our work, never overstepping the bounds of good manners because it is important in a sphere that is national and European not to target one another. There were delays of two to nine months with some of the measures but we had a very high degree of consensus, we created a very good system of coordination among the individual institutions’’, said Deputy Prime Minister for the Preparation of the Bulgarian Presidency of the Council of EU Denitsa Zlateva in an interview for the Bulgarian National Radio. Zlateva reiterated she was ready to help her heir to the post if this was asked of her and expressed the hope that the teams which are not part of the political office will remain in place. ‘’The 44th National Assembly has demonstrated an understanding of the national priority connected with the Presidency’’, she said. In her words, the United Patriots must very clearly and definitely declare that the Presidency as well as its three main spheres are a priority that the government will speak in one voice, whatever swings any individual party may take. The head of an Iranian satellite television network channel who last year was sentenced in absentia to six years in prison by a Tehran court was shot dead in Istanbul together with a business partner, Turkey’s Dogan news agency said on Sunday, The Jerusalem Post reported. GEM TV founder Saeed Karimian and another Iranian were driving in Istanbul’s Maslak neighborhood after 8 p.m. (1700 GMT) on Saturday when their car was stopped by a jeep and shots were fired, Dogan said. Karimian was found dead by emergency services arriving at the scene, Dogan said. His associate was taken to hospital but could not be revived. It was not clear if there were multiple shooters. The jeep was later found abandoned and burned. Istanbul police declined to comment on the shooting. Stephanie and Gabriala won the silver medal in the doubles at the European Badminton Championship in Kilding, Denmark. The European champions from Baku lost versus Christina Pedersen and Kamilla Rytter Juh, Denmark by 1-2 games – 11-21, 21-15 and 11-21 points. Neviana Vladinova has won the gold medal in the ribbon finals at the World Cup in Rhytmic Gymnastics in Baku, Azerbaijan. The Bulgarian contestant reached the bronze in the ball finals and ranked fourth in the hoop and clubs. 48 Hour Start-up: Can You Really Launch a Business in Just 2 days? As the business world encounters technology, the barriers keeping many entrepreneurs out are slowly disappearing. Previously, you needed a huge investment of cash, good connections, a 50-page business plan, and a prayer. Now you just need a laptop and seven days. Actually, with 48 Hour Start-up: From Idea to Launch in 1 Weekend you might only need two. What is 48 Hour Start-Up About? The book 48 Hour Start-up is actually what it sounds like. Serial entrepreneur Fraser Doherty MBE wants to help prospective entrepreneurs discover and refine a launchable idea in just two days. Doherty’s reasoning behind his 48-hour deadline is simple. He argues that prospective entrepreneurs (aka wantrepreneurs) spend too much time and energy obsessing over the “perfect idea”. The time they waste waiting for the “perfect idea” is time that could be used refining and adapting that business idea for the customers who will actually use it. 48 Hour Start-up was designed to be a hacked version of the business-creating method developed since the start of Doherty’s first business. As Doherty readily admits, he had no idea what he was doing.He just knew that he liked money, liked selling things and liked connecting with people. That business is still running to this day, in part, because of the principles Doherty learned through either a mentor, experience (one of his first positions was “bacon boy” in Scotland), or by stumbling across it. In 48 Hour Start-up, he shares advice on how to find and shape a viable business idea that is ready to launch in two days. Doherty is an entrepreneur, business owner and author from Scotland. Doherty’s first business as a teenager, SuperJam, featured an all-fruit jam that was inspired by his grandmother’s recipes. The incredible success of SuperJam earned Doherty the honor of becoming the youngest ever supplier to work with a retail chain and a spot in the National Museum of Scotland. Doherty is also the co-founder of Beer 52, a craft beer subscription service. In 2014, he became a Member of the Order of the British Empire. What Was Best About 48 Hour Start-Up? There are two key aspects of 48 Hour Start-up, the author’s transparency and his approach. In many startup advice books, authors are afraid to share their mistakes. In his book Doherty is very transparent about the trials he faced as an entrepreneur. These anecdotes are brief. They show his thinking process at the time, which is a theme throughout the entire book. 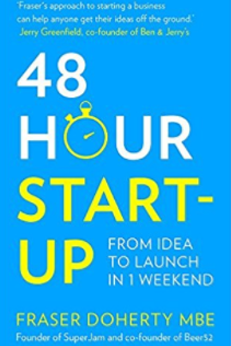 Following its own philosophy that entrepreneurs need to leverage speed, the book doesn’t get stalled with fancy charts (there aren’t any) or financial projections, For those readers wanting a down-to-Earth business advice book, 48 Hour Start-up might be a welcome read. 48 Hour Start-up is extremely helpful when it comes to the initial decisions for entrepreneurs to consider when starting a business. The book continually reinforces the theme that entrepreneurship doesn’t have to involve complicated financial projections, elaborate presentations or extraordinary innovation. It is just a simple idea executed well. One area that could use more attention, though, concerns strategy and market research. The book doesn’t provide a lot of focus or direction on what strategies to consider after the 48-hour experiment is over or how to conduct more detailed research to maintain a business in the future. Why Read 48 Hour Start-Up? 48 Hour Start-up is designed for entrepreneurs who have gone through a couple of business ideas but haven’t made that initial step to get started. It is also for serial entrepreneurs seeking to improve their thinking process in preparation for a new venture. For beginners, the book is a chance to brainstorm a business idea within the book’s deadline of two days. For serial entrepreneurs, the book is a jargon-free guide to refining the principles of business idea creation. If a serial entrepreneur can’t think of a good business idea, 48 Hour Start-up will provide practical advice with the inspirational real-life story of a businessman who started an empire right from his grandmother’s kitchen. According to the leader of the Confederation of Independent Trade Unions in Bulgaria (CITUB) Plamen Dimitrov, the system of social assistance must be reformed without a reduction of the financing; the poorest pensioners can receive a bonus through the pension system but through the social assistance system, according to BNR. ‘’I am getting the impression that the future minister of labour and social policy will be from GERB party, it would be better if he or she was not a political nomination but someone who has worked in the system’’, said Plamen Dimitrov. The United Patriots stated they were not prepared to put forward their own nomination in the sphere of labour and social policy, he added, answering question whether the CITUB was skeptical of a United Patriots nomination becoming social minister. ‘’I am expecting a restart of the dialogue at the National Council of Trilateral Cooperation before the formulation of the new programme of governance’’, Plamen Dimitrov added. He stated that according to the CITUB an average monthly salary of BGN 1,500 is absolutely attainable, adding that last year, the growth rate of this index stood at 10.5%, though 70% of Bulgarian workers receive salaries below the average. Manchester United FC legend Arthur Albinston awarded on Saturday in the city of Veliko Tarnovo, Central Bulgaria, the winners in the football tournament for disadvantaged children, BNR announced. Fourteen teams from children’s social homes in the region of Veliko Tarnovo joined the football tournament and the cups and medals were awarded by the legend of the Red Devils Arthur Albiston. He said he was happy to see how they played with great enthusiasm, with all their hearts. The tournament has been organized for a ninth year running by the fan club of Manchester United, its chairman Emil Yordanov said and added that its goal was to show to kids that they are not forgotten. Arthur Albiston commented that if Manchester United played with the Bulgarian club in 2018, it could find a new Bulgarian player for its team after Dimitar Berbatov. You are currently browsing the Business, finances, forex blog archives for April, 2017.